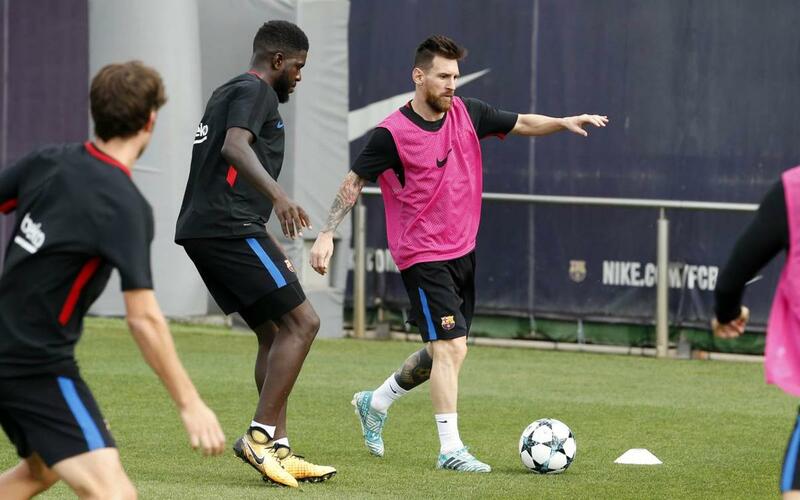 Monday brought the first training session of the week at the Ciutat Esportiva, and also the last before the players head for Portugal to take on Sporting Lisbon. Following the return of intense heat to the Catalan capital, the sun spent most of the morning hiding behind the clouds as the squad worked out on the Tito Vilanova field. Following the session, Ernesto Valverde announced which players he’ll be taking with him for the second Champions League group stage fixture. Nelson Semedo and Gerard Deulofeu return to the side after missing the trip to Girona and there is also room for Barça B goalkeeper Adrián Ortolá, who has been given the medical all-clear. So, the full squad is as follows: Ter Stegen, Cillessen, Ortolá (31), Semedo, Piqué, Rakitic, Sergio Busquets, Denis Suárez, Iniesta, Suárez, Messi, Mascherano, Paulinho, Deulofeu, Jordi Alba, Digne, Sergi Roberto, André Gomes, Aleix Vidal and Umtiti. There are no places for Vermaelen, Arda Turan or Alcácer, while Rafinha and Dembélé are still out through injury.